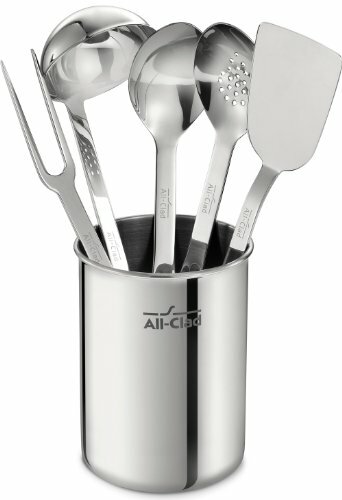 Kitchen tools and gadgets are useful aides for making a cook's life easier. Hand up if you agree! 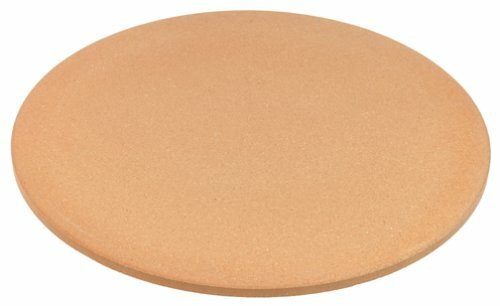 I've gathered a collection of quality pieces here, based on what I've use and recommend. 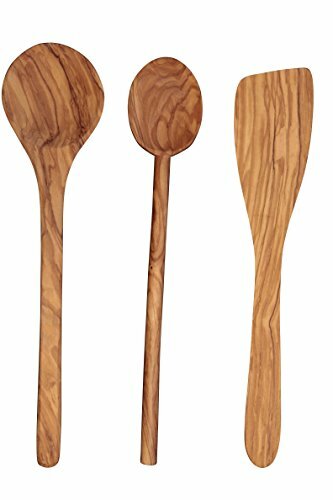 A set of basic utensils is at the top of the list. This one is stainless steel from All-Clad and will last a lifetime (if you use non-stick cookware you'd need to make a non-metal choice). 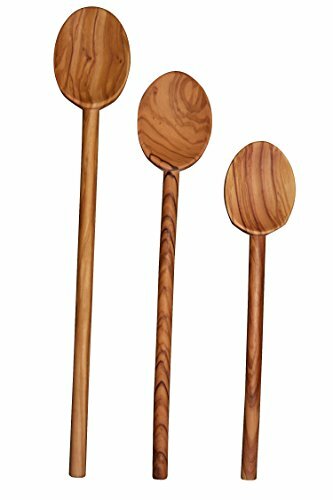 Add to that a set or two of olive wood utensils and spoons designed for stirring, scooping, and sautéing. 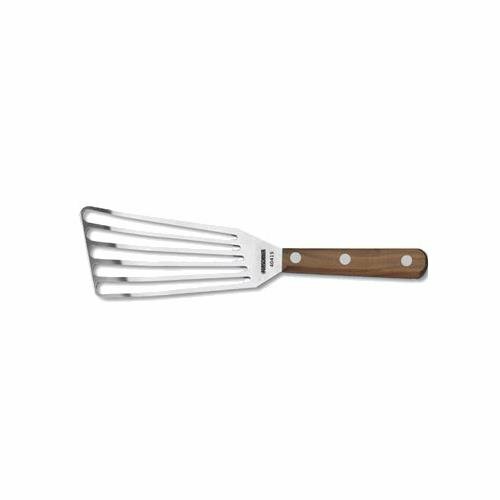 I have to say a wooden saute spatula is one of my favorite tools. I have to be honest. I don't own a potato masher! 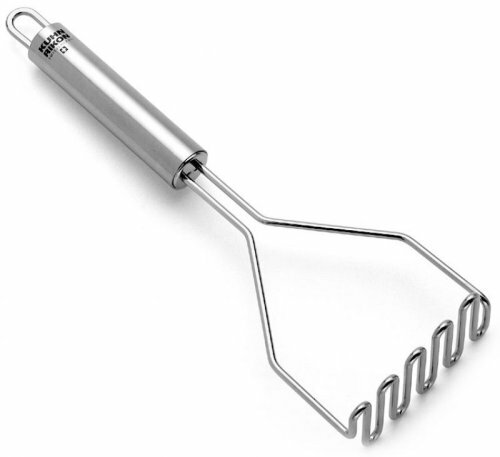 I have a stout, giant balloon whisk that does the job just fine, but if I didn't have that, I'd choose this stainless steel masher from Kuhn Rikon. 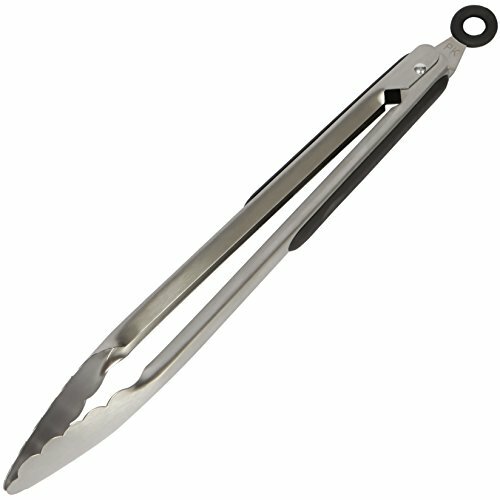 Stainless steel locking tongs are one of the most-used tools in my kitchen. Every kitchen should have two. You never know when a skimmer will come in handy. Blanching tomatoes or peaches? Lifting a roast chicken from the pot? 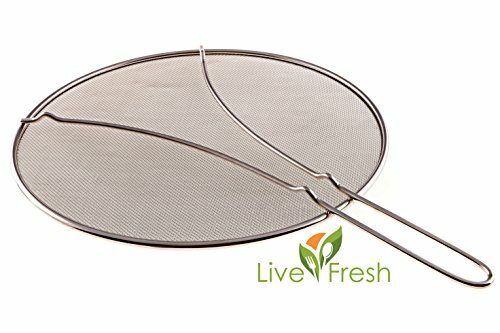 Skimming broth as it simmers? This stainless steel one from Fox Run is a great choice. 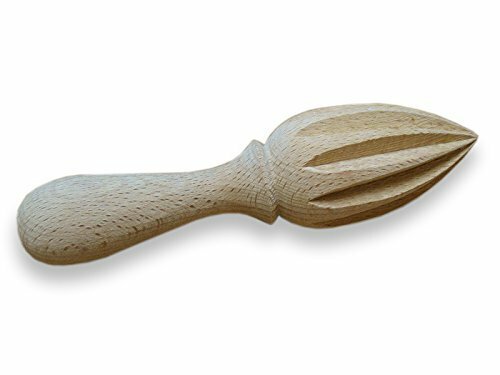 There are a mirad of styles and sizes of turners out there, but the one I like is the simple fish turner for its flexibility and thin profile. This one by US company Victorinox is stainless steel with a riveted walnut handle. 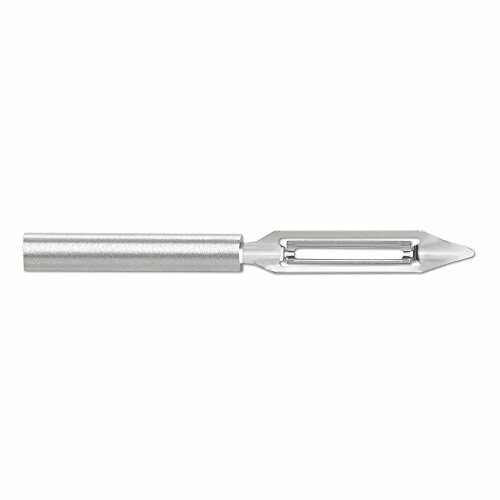 Do you have a lemon reamer? If not, get this one. 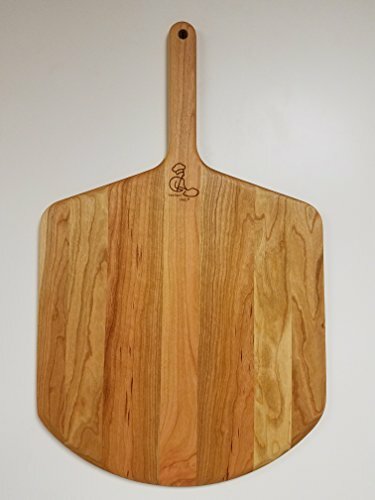 Made from wood, it is just what you need for juicing all things citrus. Bonus: the handle's round end is perfect for tamping graham cracker crust into tartlet tins for mini cheesecakes. You can peel everything that needs peeling with a paring knife. 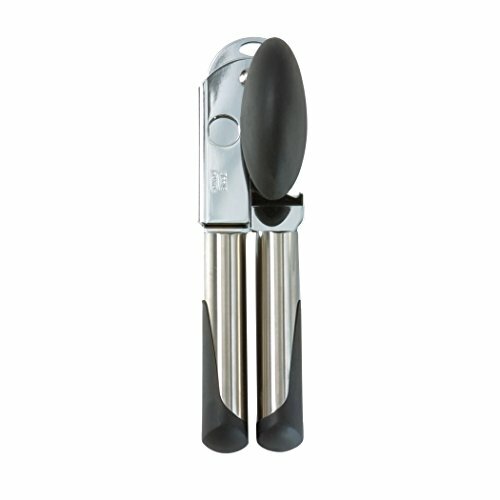 But if you have this stainless steel peeler, you can peel everything that needs peeling and shave chocolate or parmesean. I have a vintage wire cheese slicer and love it. This one's similar. 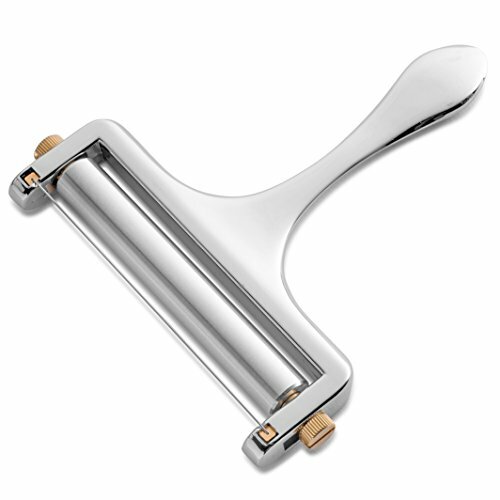 Its wire is replaceable and you can adjust the roller for different slice thicknesses. 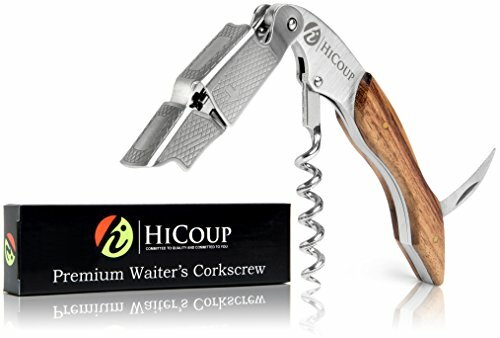 No kitchen would be complete without a corkscrew, bottle opener, multi-tool. This simple design is favored by sommeliers, waiters and bartenders. Gone are the days of analog thermometers. 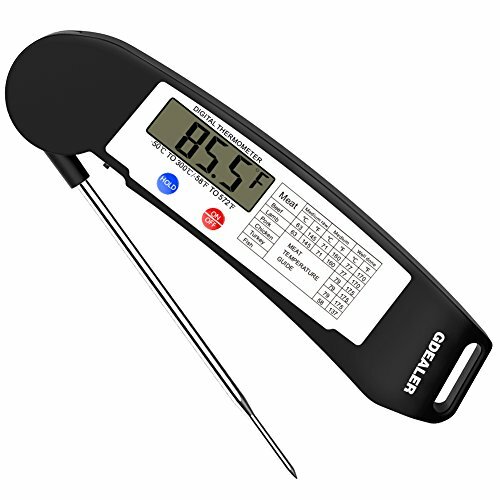 Measure cooking temperatures in a variety of roasted meats instantly with this folding digital thermometer by GDealer. 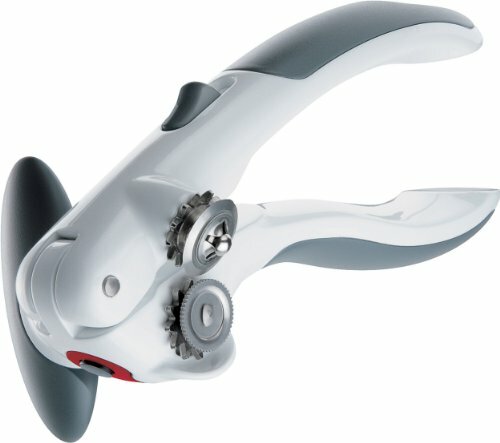 Let's talk about can openers. If you like a more traditional kind that clamps on and cuts a circle around the lid of the can, this stainless one by OXO is a good choice. If you prefer the idea of opening a can without having any sharp edges exposed in the end, then this one by Zyliss is for you. It "unlocks" the lid at the seal. 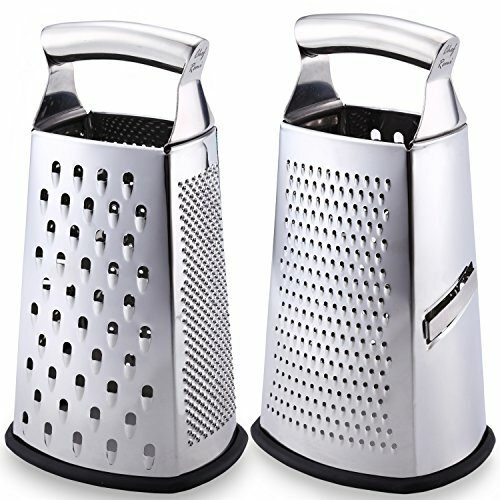 Here you go: a simple stainless steel box grater. It may be the only one you need in your lifetime. 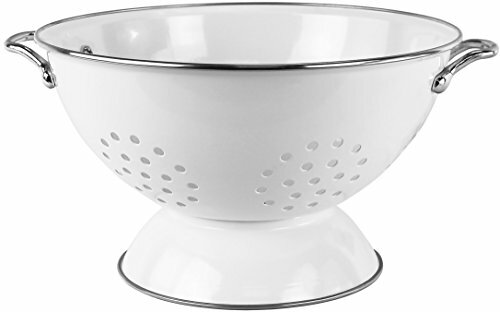 For draining pasta, rinsing veggies, or displaying ripe fruit on the counter, this enameled colander could do it all, beautifully. I have to say, making your own popscicles is pretty fun. When you know what's in them, you can enjoy eating them even more. This stainless steel mold is the one we have (the bamboo sticks can be washed and reused!). 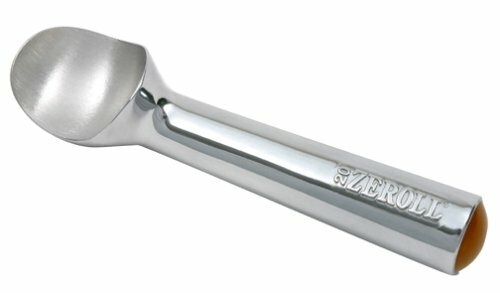 The heat from your hand transfers to the handle and bowl of this Zeroll ice cream scoop for easier scooping. And while it may be an ice cream scoop, it could also be a pumpkin or squash pulp scoop, or even a cookie scoop. 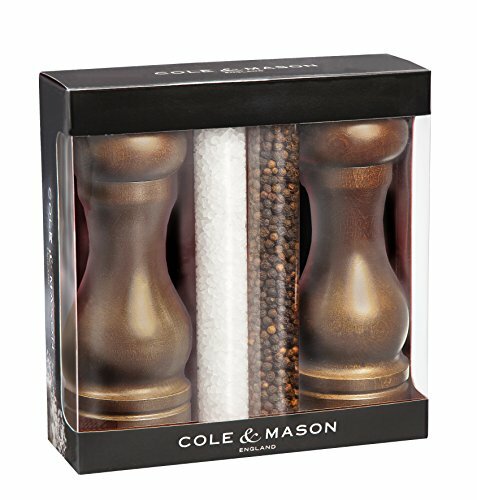 If you appreciate freshly cracked salt and pepper, you'll appreciate good quality mills. 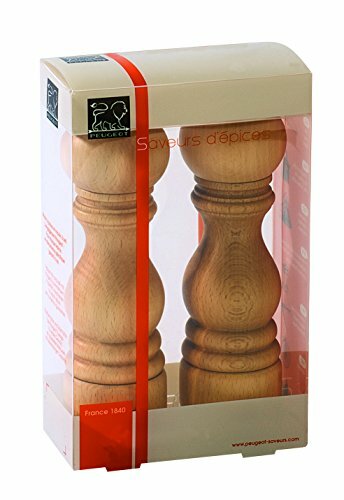 These wooden options from French company Peugeot and US company Cole & Mason both offer superior grinding mechanisms. I have a vintage salt cellar beside my range and I use it every day. Salting foods with your fingertips gives you more knowledge and control over how much salt you're using. 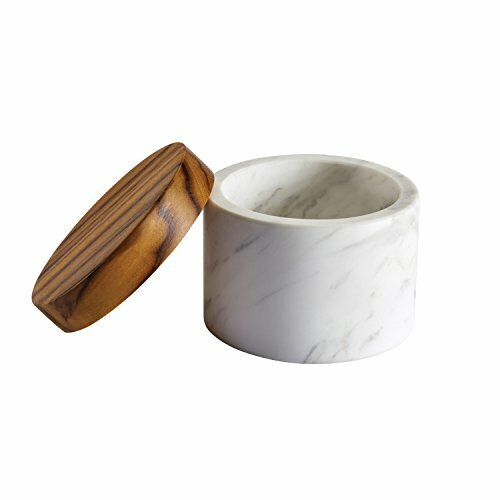 This marble and teak cellar is beautiful. 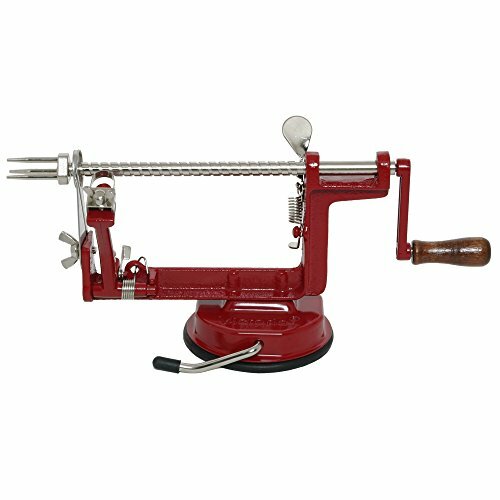 This cast iron apple peeler, corer, slicer is not a kitchen necessity, but if you have a bumper crop of apples to process for baking or dehydrating, it's a life saver. Fun, too, when you have little ones who are thrilled with the idea of eating apple "springs." We just made popcorn in our Whirly Pop popper last night; the one we've had for 18 years, made by Wabash Valley Farm in Indiana. 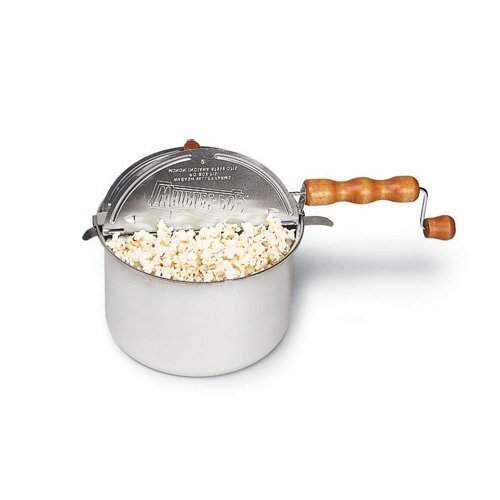 It makes tasty theater-style popcorn on your stove top. Tip: use different oils to add different, subtle flavors to your popcorn. One of my favorites? Grape seed oil. 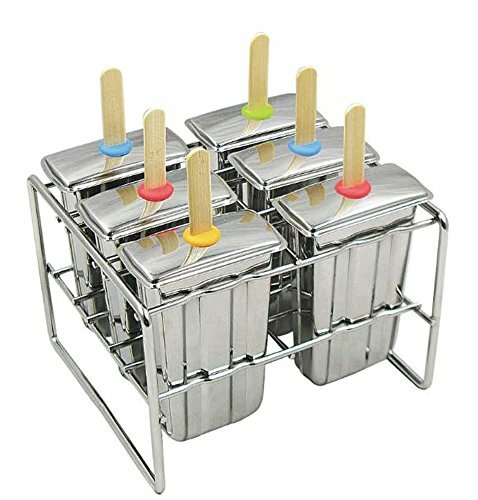 If you're hesitant about a Whirly Pop in aluminum, they now make one in stainless steel. If you own a skillet, you should own a splatter screen. The fine mesh keeps grease splatters under control while allowing steam to escape. This stainless steel one won't rust and it has handy feet to hold the screen above the counter when you set it down. If you make homemade pizza, these are your necessary tools: a wooden pizza peel and a pizza stone. I also use my stone for baking biscuits and my peel for rolling out pie crust. Yay for tools that multi-task. 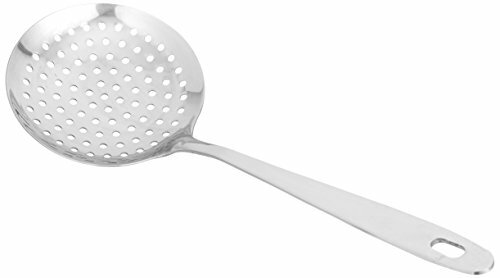 If you're just starting out, I recommend: a set of basic stainless utensils, a set of wooden utensils, a pair of locking tongs, a fish turner, a peeler, a corkscrew multi-tool, a can opener, a box grater, a colander, salt & pepper mills or shakers, and a splatter screen.